Good news, Glee fans! 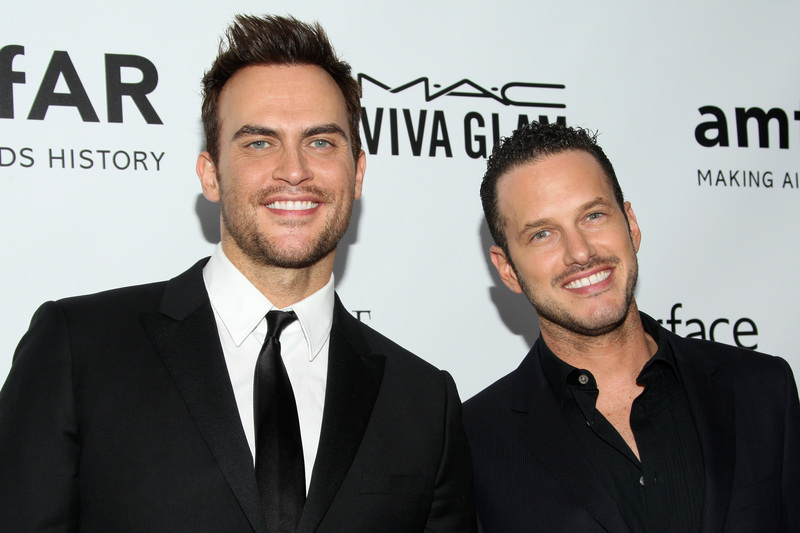 On Wednesday, it was announced that actor and singer Cheyenne Jackson is engaged to Jason Landau, his entrepreneur and actor boyfriend of four months. The pair reportedly started dating in October, and were photographed together in December on the red carpet at the amFAR Inspiration Gala in L.A., since Jackson is an ambassador for the AIDS research organization. "Cheyenne Jackson and entrepreneur Jason Landau are pleased to happily confirm that they are engaged," Jackson's rep says to E! News. The couple has also reportedly started to plan their wedding. This will be Jackson's second time down the aisle. The 30 Rock actor, who publicly came out in 2005, finalized his divorce from physicist Monte Lapka six months ago after a 13-year relationship. Jackson and Lapka married in 2011 and announced that they had "mutually decided to divorce" in August. At the time, Jackson spoke about his divorce in an interview. It's a sad thing anytime a relationship ends. We had a good long run, almost 13 years... [The split] was mutual and it was amicable. He is a wonderful man. I'm a little naive to think that people will even care, but they do. You have to understand the significance that your relationship had to other people. I know that our marriage meant a lot to other people. That's not lost on me, and I respect that. Jackson is one talented guy. He played Dustin Goolsby on Glee, Danny Baker on 30 Rock, and Billy Leatherwood in Behind the Candelabra, as one of Liberace's boyfriends. He got his start in the acting world on Broadway in Thoroughly Modern Millie, and has also been in Xanadu and 8. Landau has appeared in American Dreams and Will & Grace. We wonder if a Glee get-together will happen at their reception, and if so, can it be documented on some form of social media? Please?